May this New Year bring all joy! New Year fireworks for all to enjoy! Compliments of Google Images. This New Year has already begun at an exciting pace. I have many goals that are planned to be met which mean new ones to create; very exciting for me! 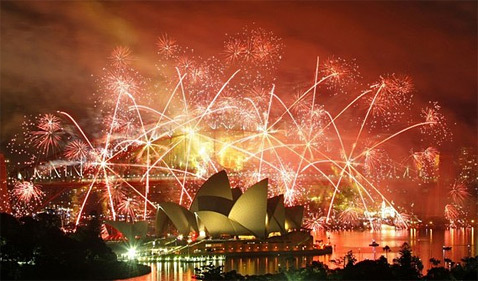 I can hardly wait for 2012 to unfold into the expected wonderful year. One of the goals I have already accomplished is setting my Daily Duties in the order I wish to accomplish them. I even have added which hours in the day I wish to accomplish these tasks in order to organize myself better. This helps me stay on-track throughout my work day. Along with creating my Daily Duties roster, I have my monthly tasks listed on a wall calendar as a reminder so these do not become neglected. I also use a planner. This way I do not forget to telephone or miss an appointment. I find the more organized I am the better my day, month and year is. For 2012, I will be monitoring, updating and blogging on Alicia Rose at WordPress on a monthly basis. There is much I have planned to share. Please check monthly to keep abreast of the added content. Thank you. Looking forward to another delightful year blogging and sharing things with you! Hope your holiday season went well. May this bright New Year bring you and your family much joy!